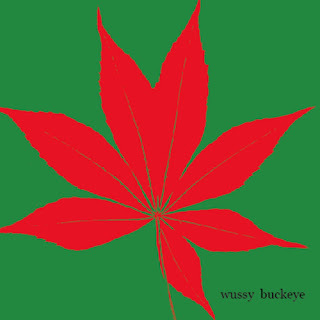 Although originally released on the 2005 album Funeral Dress, 'Airborne' sees its first official international release on the compilation Buckeye. Alongside sixteen other tracks of very high quality it should hopefully get Wussy the recognition that they deserve. Their fuzzy power-pop/college rock is steeped in the classic American groups from The Velvet Underground to (early) R.E.M. and there's a classic feel to all of their material on said compilation that means they're due full cult status. Indeed from what we've seen mentioned about the Cincinnati four-piece those that have showered praise on the group are almost hyperbolic. A personal highlight of Buckeye, 'Airborne' feels instantly familiar, summery yet sad, and undeniably brilliant. There's hints of alt. country in the mix too with the end result feeling rather individual. A bastion of quality songwriting in an American music landscape too full of borish 'sonic explorers' and the finest thing to have unexpectedly turned up on our doorstep all year. Look out in the forthcoming Issue 122 of Artrocker Magazine for the review of Wussy's Buckeye by Lee KPL.